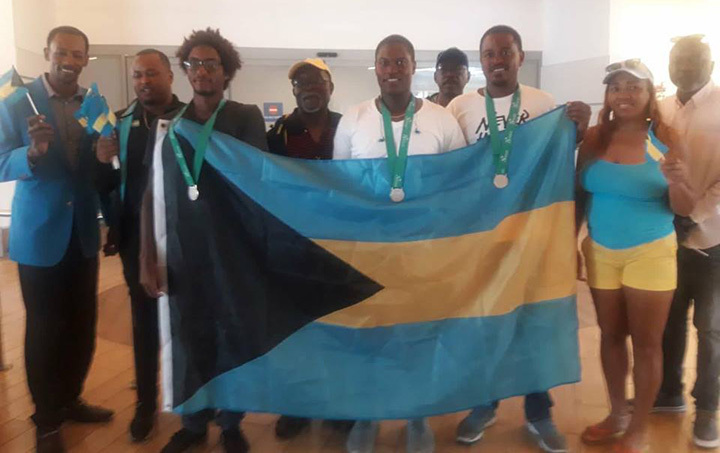 The Director of Sports, Tim Munnings, The Bahamas Olympic Committee Secretary General Derron Donaldson, Sports Liason Officer for Tennis in the Ministry of Sports Kevin Colebrooke were all on hand to welcome back Team Bahamas on their stellar performance in Escauza, Costa Rica. The 2018 Davis Cup team consisted of the #1 seeded Baker Newman, #2 seeded Philip Major Jr., Jody Turnquest and the Player/Coach Marvin Rolle. The entire team expressed joy and exuberance at the win and stated that all they wanted to do was "make their country proud". They surely achieved this goal! The Bahamas played regional and intercontinental teams in Costa Rica. The Team went undeafeated in tournament play 5-0 against Honduras(co winners), Bermuda, Antigua & Barbuda, Jamaica and Costa Rica. In the last matchup against the effusive and demanding home crowd the Bahamas fought valiantly and won 2-1. Now onto to Zone 2 i 2019. This new Zone now offers The Bahamas wonderful opportunities and challenges. The Sport of Tennis is showing much progress and growth as its athletes continue to compete and win at a very high level. 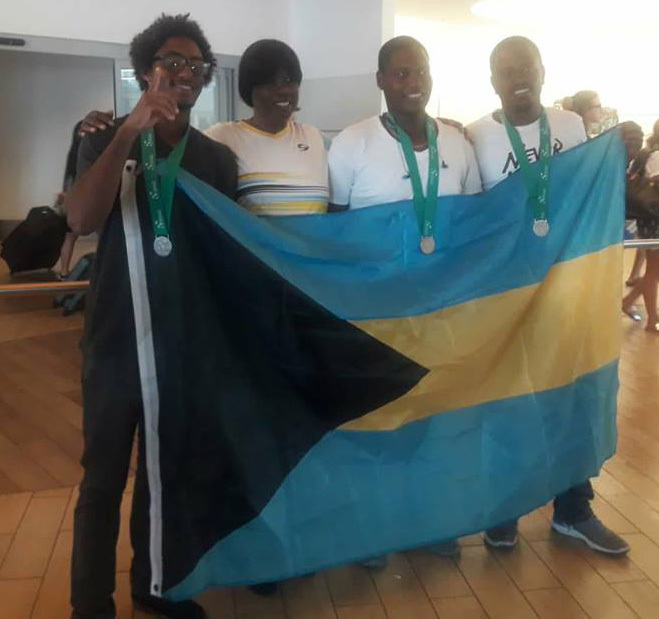 The president of the Bahamas Lawn Tennis Association, Darnette Weir was very excited about the promotion of the team and she was quoted as saying: " I am happy for the Team members who have individually worked hard to perfect their game. The Team was undefeated by all contenders. 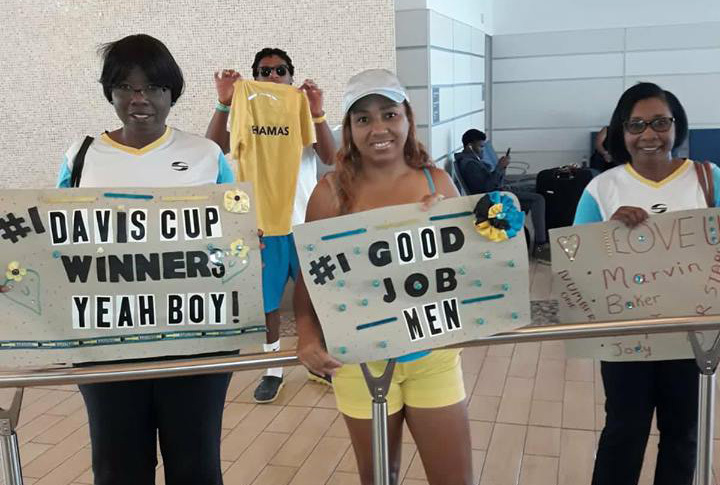 The Bahamas lawn Tennis Association is proud of the performance of the 2018 Davis Cup Team: Coach Marvin, Baker, Philip and Jody. 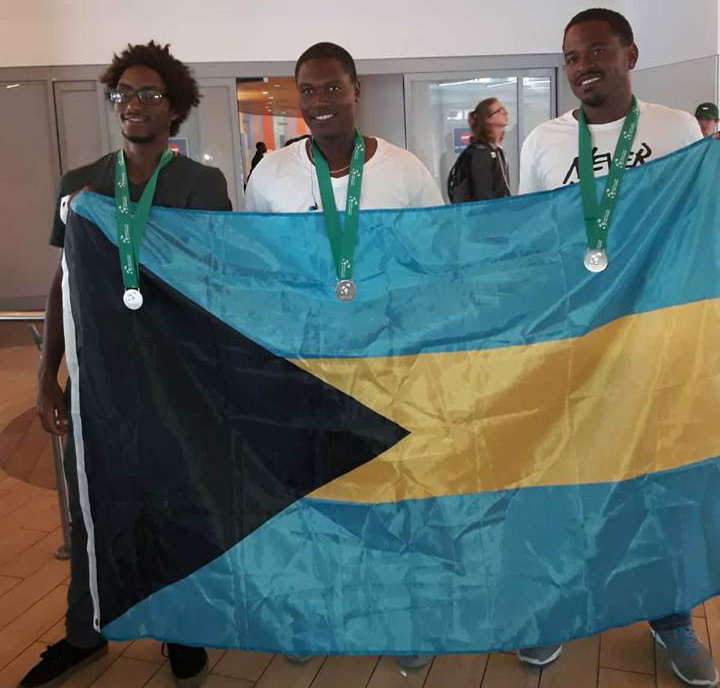 The road was not an easy one and we encourage Corporate Bahamas to get behind these phenomenal athletes who represented their country with pride."